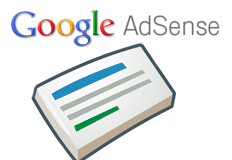 Earlier this week, we reported on many Google AdSense publishers claiming some Google AdSense ads were auto-redirecting users from their their site to a spammy site, ultimately hijacking their users. Google finally and officially confirmed the issue and said it has been resolved. Google's ads quality team is investigating a new type of spam that uses Flash to auto redirect users to a different site once loaded on a page. We've identified the cause of the issue, and have addressed the problem on our network. We're working with impacted publishers and improving our screening to protect against this type of problem in the future. So we now it was isolated to the Flash ad format. We know it was specific advertisers that Google has likely banned. We also know they identified the technique these advertisers deployed to auto-redirect users. Finally, it seems like Google will be contact publishers impacted with some sort of recourse. But I am unsure what that would be exactly. If you've been impacted, do let us know if Google reaches out to you.